Vodafone has angered its UK customers by announcing a switch from per-second to per-minute call charges, which are likely to cost subscribers more money. From August 1, the Guardian reports, if a Vodafone pay as you go customer makes a call to a landline or mobile lasting, for example, 1:02, they will be charged for the two minutes. In real terms that means a call that previously cost 26p will now cost 50p - a 92 per cent price hike. The struggling operator is, of course, dressing this up as a benefit for its subscribers, claiming the simplified charges will help users know exactly how many minutes they have left in their accounts. A post on the Vodafone website reads: "Calls on Pay as you go are getting simpler from 1 August 2013. No more complicated pricing by the second – just clear, straightforward per minute charges. "So if your call is a minute and 37 seconds long, it'll be charged as two minutes. That way, you'll always know exactly how many minutes you have left." 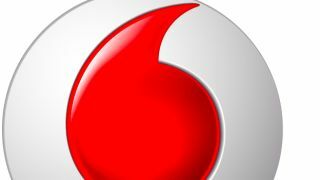 Posters on the Vodafone support forum called the move "patronising," while others accused the network of insulting the intelligence of its customers. One post read: "Please don't patronise us. This is being introduced to make more money for Vodafone, pure and simple. It doesn't make anything simpler other than the fact that PAYG customers will essentially pay more for calls." Are you a Vodafone customer affected by the transition to per-minute call billing? Feel free to vent your spleen in the comments section below. Vodafone seems to be annoying plenty of folks just lately, namely EE during the British grand prix last week.